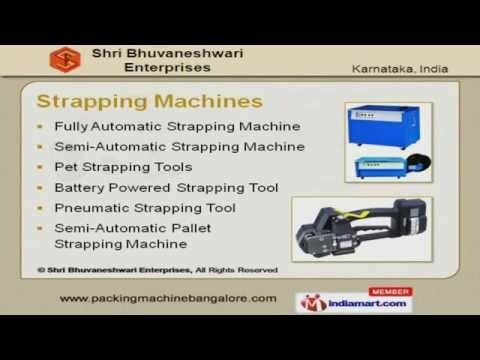 Welcome to Shri Bhuvaneshwari Enterprises, Manufacturer and Exporter of Strapping, Sealing Machines & Shrink Wrapping Machine. The company was established in 2002. International quality standards and Team of expert engineers make us unique in the industry. Competitive pricing, Customized solution and Client centric approach make us the first choice of our clients. Landmark, Pagaria Foods and Lunars Exports are some of our esteemed clients. We offer a vast range of Induction Sealer, Strapping Machines and Packaging Consumables. Strapping Machines offered by us are well known for their outstanding performance. We have been exceptionally able to offer to our customers our range of Sealing Machines. We also provide Shrink and Stretch Wrapping Machine that are acknowledged for their functionality. Along with that we offer Induction Sealer that are one of the best in the market.